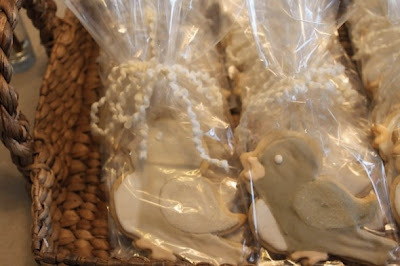 Last weekend, I designed a Baby Bird Baby Shower. 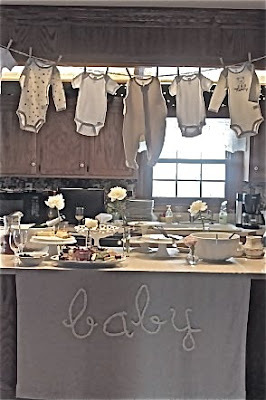 Using a neutral theme of cream, grey and ivory, I created a charming event that was perfect for a January shower. Above is the invitation with the glittered bird. 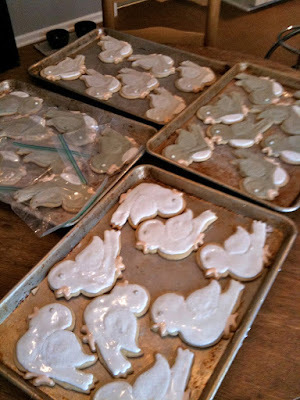 For cookie decorating, I always use disposable pastry bags with the ends snipped off. It is a very easy, no-fuss method of decorating... no pastry tips and no cleaning bags! For the icing, I use royal icing. Beat the egg whites until almost frothy, then add sugar. You may need to add more sugar to reach a thick icing. Step 2 : "Glitter" the wing using sanding sugar. Step 3 : Pipe the remaining body of the bird in the same base color, leaving the beak, feet and breast. Step 4 : Accent the bird with a white breast and pale peach feet and beak. Step 5 : Add a white eye after the body has hardened. I displayed the cookies in a basket. 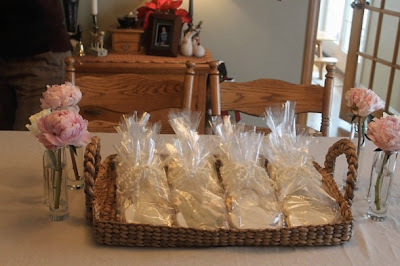 They were packaged in clear bags tied with 'angel fleece' yarn. 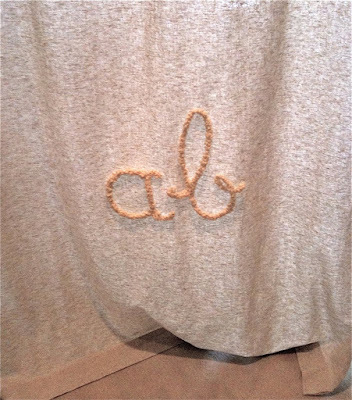 For the food display table, I used a linen drapery panel to which I applied 'baby' letters made of yarn wrapped pipe-cleaners. Above, I hung onsies from a yarn clothesline with clothespins. 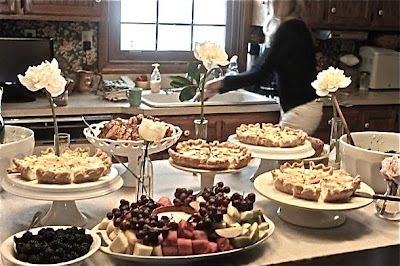 The food was displayed on white platters and cake pedestals with white peonies in bud vases. I made the letters by forming letters in pipe-cleaners, then wrapping them with yarn. I quick stitched the letters onto the linen panel. I saved this into my files. Such a beautiful shower! PS... I have that same long flat basket from PB...love it! I love the idea of the clothes line with the onsies! I'm throwing a baby shower next week and was going to use your idea. Did you get a particular yarn and clips to hold them up. I just want to make sure it doesn't fall down! Thanks so much! Where did you get these invitations??! I love them?